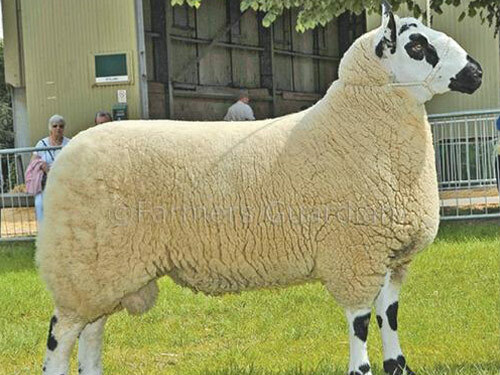 Kerry Hill Sheep are a well-balanced sturdy sheep with ears set high and free from wool. A black nose and sharply defined black and white makings on the head and legs. Both ewes and rams are hornless. It is a handsome sheep, with a dense fleece, which is unusually white. The fleece handles well and is amongst the softest of British wools. In both ewes and rams teeth should be regular and meet the pad neither undershot nor overshot. The Kerry Hill sheep are good on their feet and good in their teeth. Average mature weighs 55-65kg, rams 65-70kg. Content Source: National Sheep Association.